Unfortunately, severe weather and flooding is a fact of life. When a storm hits and an unrelenting torrential downpour ensues, many homeowners are faced with costly damage and an unpleasant clean up. And it’s not just natural disasters that are responsible for flood damage – a burst pipe or even an over filled bath can very quickly turn any room in your house into a flood zone. Fortunately, some things can be salvaged, and if you act fast, the better your chances are of preventing further damage to your home and carpets. When you require prompt and efficient flood damage restoration in Melbourne, be sure to call the experts at the Squeaky Clean Team. 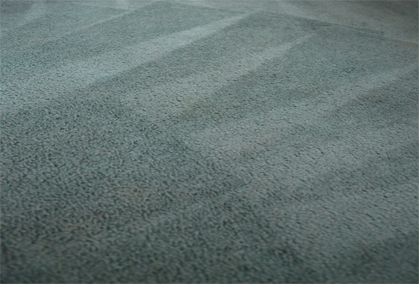 Call our experts today for prompt assistance with carpet flood damage restoration. Flooding can seriously damage the carpet in your house and end up being very costly. Carpet is expensive to replace, but fortunately in many cases it can be restored – if you act quickly. 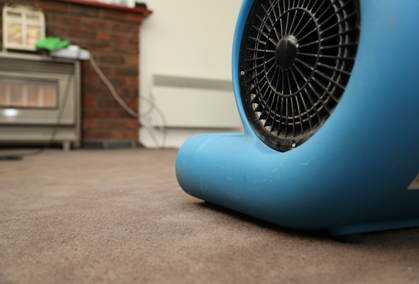 When flooding occurs, carpet is one of the first things to be submerged in water, and if left too long, it can quickly begin to develop mould. Once mould has begun to grow, the carpet may have to be replaced entirely, as it can present a serious health risk and can also begin to rot. 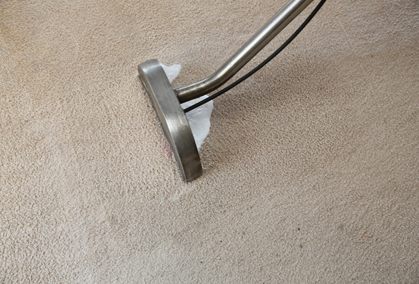 By immediately soaking up water with towels and calling a professional carpet cleaning company that specialises in flood damage restoration, you’ll be improving your chances of saving your precious carpets. Warped and buckled floorboards – This can indicate serious water damage that should be addressed by a professional. Swollen and soft drywall – When moisture has made its way into your house, one of the results can be damage to the drywall. If you see signs of this, it is time to call in the professionals. In addition to structural damage to your home, water damage can also pose a threat to you and your family’s health. Damp and moist conditions that occur as a result of flooding can cause mould and mildew to thrive. When mould spores become airborne, they can result in allergic reactions, respiratory problems and infections. This is especially bad for those with compromised respiratory or immune systems, as spores can settle in the body, grow, and become a serious health threat. When it comes to water damage and flooding, there are a number of things that can be done to protect you and your family’s health as well as salvage carpet and property. If your property has suffered flood damage as the result of a natural disaster or a burst pipe, the first thing you should do is ensure the safety of all occupants and turn off the electricity at the mains. Electricity and water don’t mix, so the best way to avoid serious injury or even death is to immediately switch off the electricity at the mains before beginning the clean up. Once the electricity is safely turned off, the first thing you should do is call a professional cleaning company that’s available 24 hours and specialises in flood damage restoration. The sooner you call a professional, the better your chances are of salvaging your carpet and other household items. Professionals will usually be dispatched immediately, but while they’re on their way to your property, you can begin the process of removing excess water yourself with buckets, mops and towels. Once you have removed as much flood water as possible, you should remove all furniture, including tables, chairs and sofas. If the cause of the water damage isn’t from a storm or other type of natural flooding, switching the water off completely at the mains will stop further flooding if the flooding is linked directly to your water supply. If you believe the cause of the flooding is a burst pipe or a leak in your household plumbing, it’s a good idea to call a plumber. It’s going to be very difficult for water damage restoration professionals to begin their clean up if the house is continuing to flood, so stemming the flow of water is crucial. If you’re not sure of the source of the flood waters, the sooner you call a plumber, the sooner they will be able to locate the problem. Plumbers are experienced when it comes to leaking pipes, giving them the expertise to quickly find the cause of flooding quickly and also show you how to locate and turn off the water mains. Calling a plumber without delay can also save you money, as the longer you leave flood waters, the worse the damage and clean up costs will be. What Does Flood Damage Restoration Involve? Any flood damage restoration expert will attest to the fact that time is of the essence if carpet and property is going to be successfully salvaged after water damage has occurred, so for the best results, it’s imperative that you call professionals as soon as possible. Once flood damage restoration experts arrive on the scene, they will assess the situation and advise you on whether or not your carpet can be salvaged. If they believe there is a good chance the carpet can be saved, they will begin the water damage restoration process immediately. 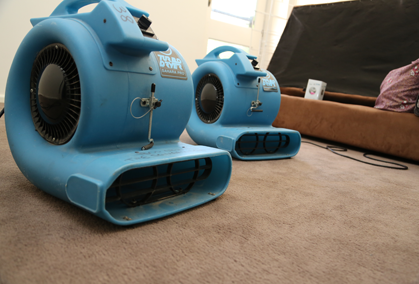 The process involves removing all excess water and using industrial strength dehumidifiers and fans to dry the carpet. Depending on the severity of the flooding and the amount of time that has passed between the flooding occurring and the water damage restoration process beginning, the carpet may need to be lifted up and the flooring beneath it dried first. If given sufficient time, flood waters can seep into the concrete, necessitating drying with industrial dehumidifiers and fans. Whether it’s a raging storm or a burst water pipe, when disaster strikes, the Squeaky Clean Team can provide fast assistance. Call us now on 1300 682 563 to enjoy the benefits and money savings that come with prompt flood damage restoration. We can potentially help save you thousands of dollars by salvaging your sodden carpets and returning them to their former glory, but you have to act fast. 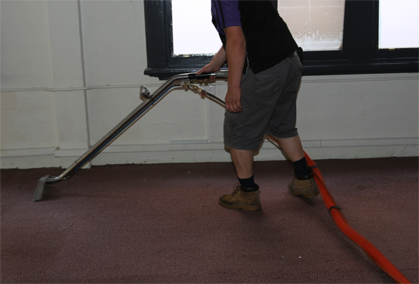 The sooner you call, the faster our team of professionals can begin the restoration process – and the higher the chances will be of your carpets being saved. The Squeaky Clean Team services the entire Melbourne metropolitan area and has years of experience in flood damage restoration for both homes and businesses. The highly experienced Squeaky Clean Team knows how special your home is to you. We will do everything we can to help you salvage your carpets in the event of a flood, whether it’s a result of a natural disaster or burst water pipes. Call us anytime day or night and we will be there as soon as possible to begin the restoration process and have your home looking great once again. 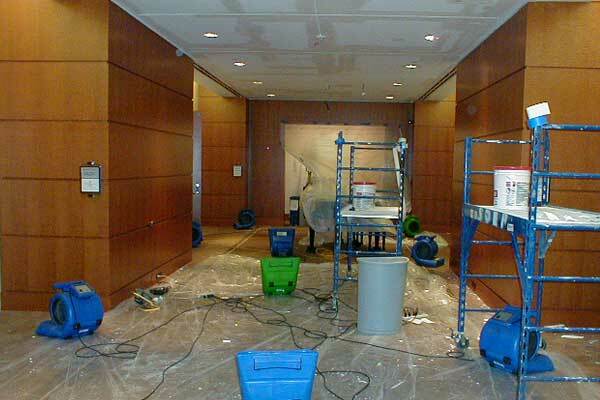 The Squeaky Clean Team can also help when it comes to flooded offices and workplaces. Time is money, so when your workplace experiences flooding, you need to get it resolved as soon as possible. Fortunately, we offer a 24 hour, seven day a week service to get you back up and running without delay. When you call us for flood damage restoration, you can rest assured you’re going to get a quick response. We know that pipes can burst at 2 in the morning just as easily as they can burst at 3 in the afternoon, and we also know that waiting until the next day can mean the difference between restoring carpets and replacing them. As soon as you call us, no matter what time of the day or night, we will be there as soon as possible to begin the water damage restoration process and save you the expense of replacing all your carpets. 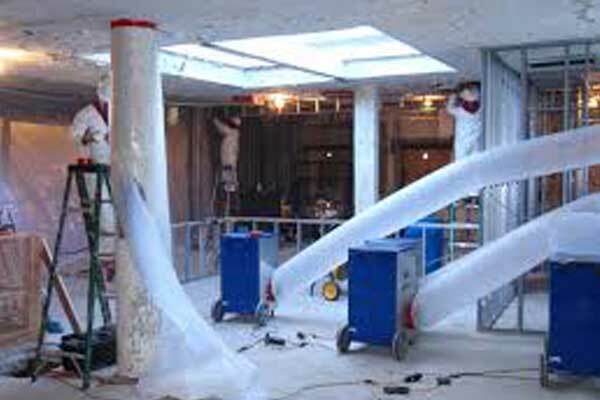 We have years of experience behind us and our team is dedicated to getting the job done and getting it done right. Get in touch with our team today. Give us a call to discover how we can help you.